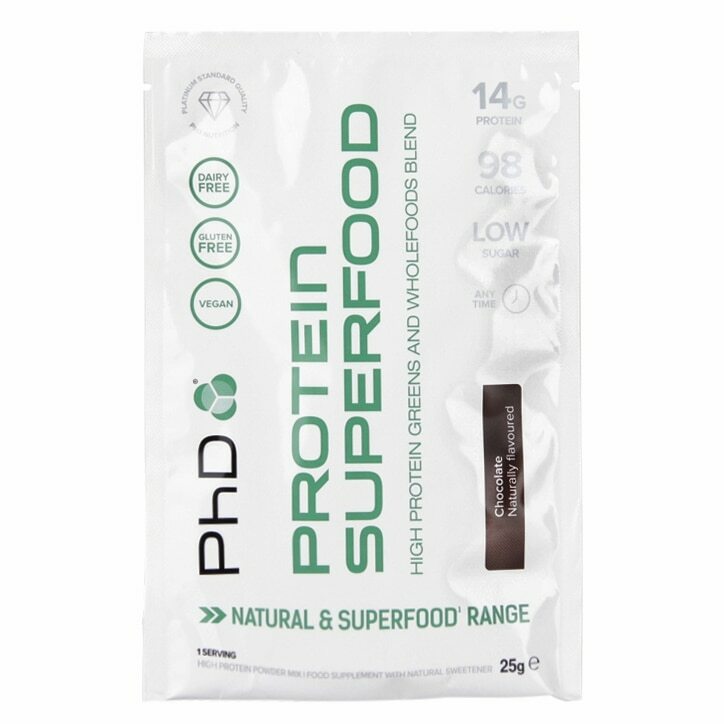 PhD Protein Superfood Chocolate is rated 3.0 out of 5 by 17. Rated 1 out of 5 by Charlielizzyj from Was so excited to receive this. Disappointed. I'm on the hunt for whey free protein. I bought a few samples and I was so excited to try them. I don't think I could stomach the taste for a big pot of this. So glad I got a sample first. Its herby and powdery and I can't taste the chocolate flavour at all unfortunately. Rated 4 out of 5 by HBCustomer123 from A protein powder with extra benefits This protein powder tastes great and mixed into water to make a thick and smooth shake. The added benefits that come from the superfood ingredients make it so much more than your average protein shake. I only wish it was lower in carbohydrate as I personally prefer a low carb diet.